WILLIAM C. BECK, M.D. ; RAYMOND RAPP, M.D. WHEN IS a patient ready to return to work following a surgical operation? 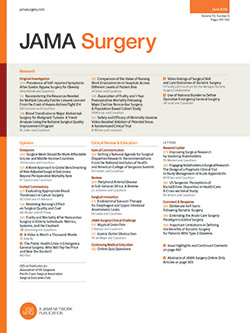 It would appear that this question should have been answered many years ago, requiring only revision as newer techniques and adjuvants to healing are added to the surgical armamentarium. The importance from an economic point of view is truly tremendous. Yet, in a careful perusal of the literature, we have been unable to find any discussion of the subject. Furthermore, we have been unsuccessful in finding any extensive published statistics, nor have we been able to procure any unpublished statistics in spite of extensive correspondence with agencies which should be able to furnish them. This is especially surprising in view of the number of times all surgeons record the required partial or total disability times on numerous obligatory insurance forms.